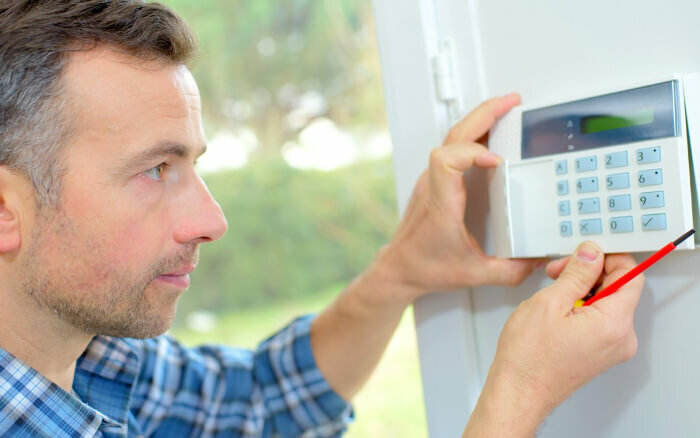 Whenever we are called out to fix a home alarm, there are five common problems which are usually at fault. 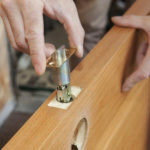 We certainly don’t mind coming out and getting everything right as rain for you, but at the same time, you can save yourself some money by doing a few quick checks to fix it yourself! 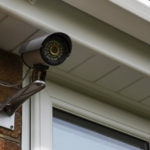 Having said that, home alarm faults aren’t always straightforward, and it is vital that you have any security feature back to normal as quickly as possible. 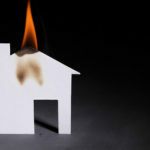 SSH Fire & Security are always just a phone call away, and we provide a professional service which you can rely on fully. To organise a job or some maintenance, give us a call on 0808 164 0280. One of the most common issues that we find when fixing home alarms is that the internal battery on the control panel is dead. 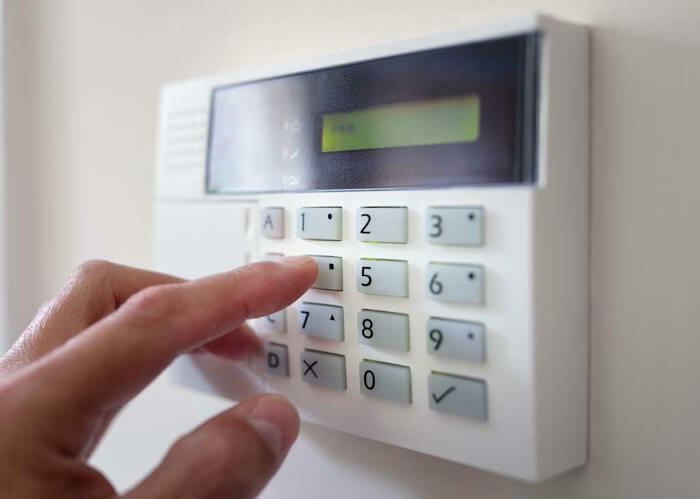 This is a particular problem with alarm systems which have been in operation for a few years without any service or maintenance. This leads to other problems which will lead to the rechargeable current which charges the battery failing. In this case, we will replace the battery and fuse before running a series of tests to make sure everything is back in order. Once we have confirmed that the charger is working again, you can be sure that the battery will remain topped up from then on. The tamper circuit is a loop of wire that runs between every passive infrared, magnetic contact, and shock sensor throughout your entire alarm system. This can often go “open circuit”, which means it will not appear correctly on your control panel. Although entering your code might stop the beeping, the LED on the panel will stay on until the circuit has been closed. Each sensor has a microswitch which can go open-circuit. We can check each of them and make sure that the lids are properly shut, and that the switches are in the proper position. While this is significantly less likely, it may be the case that there is a break in the connecting wire running between the sensors. If the problem is not related to a loose lid, then we will have to inspect each sensor manually. We will have to remove the wiring from each tamper circuit terminal and check if the problematic open circuit has gone. Once this has happened, it will be clear that the problem lies with the microswitch on the device we are currently working on. The personal attack circuit is another series loop of wiring which runs from the siren box to a microswitch. Sometimes this switch can malfunction, and unlike in the previous scenario the whole alarm will be activated; not just the internal tamper sound. In order to repair it, we will have to install an entirely new tamper switch in the outside siren device. Because your siren box is installed outside, it is constantly exposed to the elements, and the weather will wear it down over time; especially if it has been poorly installed. Each device contains a circuit board which can be susceptible to damp conditions if it is in a device which has been in service for many years (in newer devices, this circuit board generally has extra waterproof protection). The siren box is somewhat separate from your internal alarm system and has its own backup battery. Although damage to the circuit board can cause your alarm to go off, it is unlikely that there has been any damage caused to the internal system. It is also possible that the alarm will not go into full siren mode but will start making a shrill sound semi-regularly. When this happens, it is a relatively safe bet that this means the whole box will have to be replaced. Unfortunately, without getting up close and personal with the outside device, there is no way to stop the sound. By far the most straightforward issue to fix, and one that you could even attempt yourself, is a problem with the fuse in the control panel. There are a number of 1.2 amp fuses within the printed circuit boards in the panel, and if it is malfunctioning, you can check to see if any of the little fuse wires have broken. It is worth mentioning, however, that this is not an easy task. However, we can run a series of tests to double check and will have a new fuse installed in no time! At SSH Fire & Security we appreciate the value in a fantastic repair and maintenance service to compliment our installation service. It is crucial that you keep in mind that we will work on any system, not just one that we have installed ourselves! In order to arrange a job today, give us a call on 0808 164 0280! Alternatively, fill in your contact details, and one of our personnel will be in touch as soon as we possibly can!